EGD children: like what age is doing? 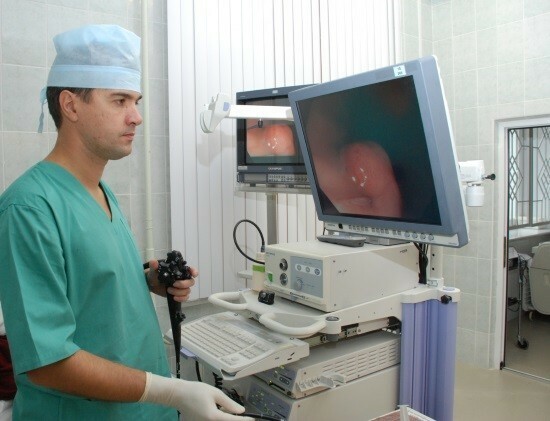 Fibrogastroduodenoscopy (EGD) is one of modern exact methods of diagnostics of pathology of the gastrointestinal tract and one of the ways to confirm the diagnosis in gastroenterologists. Of particular relevance he finds especially now that the incidence of pathology of the digestive system, both in adults and in children is steadily increasing every year. Repeated vomiting, regurgitation. This symptom is a common cause of performing gastroscopy in children. Gastrointestinal bleeding (an indication for FGS regardless of age). In this case it is possible to diagnose the cause of bleeding and to immediately eliminate it. Detection of foreign bodies of the esophagus, the need for their extraction. Such a study also becomes a necessity in the differential diagnosis of the diseases proceeding with similar clinical picture, for verification of erosive-ulcerative changes in the mucosa, the diagnosis of malformations of the esophagus. In addition to the above reasons gastroscopy is widely used for medicinal purposes ─ to stop the bleeding, to remove polyps, to introduce the drug. Where to do the procedure? If there are any complaints you should contact the therapist or the gastroenterologist, which will determine readings and set a date of the study. Stenosis of the esophagus, increased risk of perforation. Pathology of the hemostatic system. Space-occupying lesions of the mediastinum or other pathologies (aortic aneurysm) which could lead to displacement of the esophagus. Mental disorders in which the patient cannot control their actions and to follow the doctor’s instructions. Acute inflammatory processes in the area of the throat (angina). Even in the presence of contraindications, the final choice is up to your doctor. If the benefits of the research substantially outweighs the risks of complications, the doctor may resort to gastrofibroscopy. More about how to prepare little patients for EGD. Fibrogastroscopy is carried out 8 hours after the last meal. Water do not drink 4 hours before examination. If the patient regularly takes medications, it is possible to do it after the study or to drink a few SIPS of water before him. 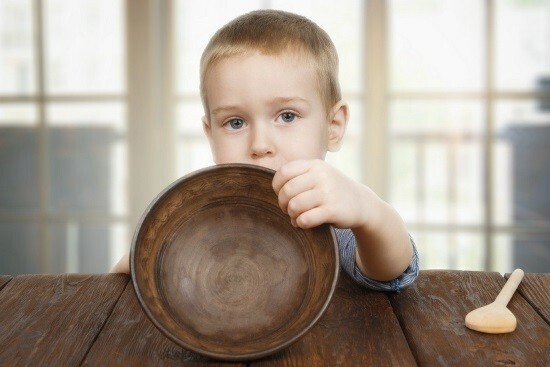 If the child increased anxiety, and he cannot tolerate the stress, it is necessary to consider in preparation for the EGD of the stomach and use a sedative (in children, as a rule, preparations of plant origin). But if the child is calm, you can do without the drug. Some parents, to avoid the possible psychological trauma for the child may be asked to conduct a study under General anesthesia. Gastroscopy is carried out using a special children’s gastrofibroscope smaller diameter, when compared with tools designed for adults. Sometimes you need to use a gastroscopy devices of larger diameter in a child up to 4 years, with endotracheal anesthesia may be required as a condition because of the danger of compression of the trachea. Before the examination the doctor should be aware of all possible allergic reactions the patient and all its related diseases. Diagnostic study usually lasts up to 10 minutes, but if the goal gastrofibroscopy therapeutic ─ may need more time, sometimes up to half an hour. READ Ultrasound of the bladder: how to prepare for the exam? Before the procedure the throat in both adults and children anesthetized with local anesthetic (usually lidocaine). The child is placed on a special table on the left side, while his left leg is in line with the body or slightly bent, and the right given to the stomach. The left arm is bent and is located at the bottom right is stretched along the body or is loose on the table. The head should be slightly reclined. In the position to achieve a relaxation of the neck muscles, and the epiglottis not impede the execution of fibergastroscope into the esophagus. In the mouth of a patient is a special mouthpiece that prevents closure of the mouth and damage teeth tools. Near the child is always the nurse who helps the doctor and the patient support such that it can be fixed with a hand the baby’s head and also to hold the mouthpiece and towel. Sometimes when the behavior gastrofibroscopy, especially in children, it may take another person who could hold hands if the child is very restless. When the patient is swallowing, the doctor holds the device in the esophagus. To reduce gagging during the procedure, the child is better to try to breathe quietly and deeply. The camera device is transmitted to the screen, the doctor examines the lining of the esophagus, stomach, 12 duodenal ulcer, the motility, sphincters. Then, the data recorded in the study Protocol. 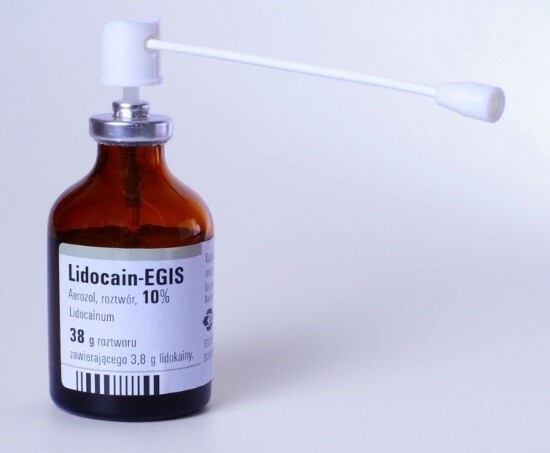 After the EGD some time, while acting local anesthetic, you should refrain from taking food and water (to avoid podergivani). Also after the procedure, the throat may be discomfort associated with the mechanical damage of the mucosa in the path of fibergastroscope, but they usually go away on their own after a day or two or even earlier. What symptoms should go to the doctor after the procedure? Sharp, intense pain in the abdomen. These symptoms can be a result of complications from the procedure and require urgent medical intervention. Endoscopic examination is one of the most informative methods of diagnostics, in certain complaints, the doctor can not do without him, otherwise you will not understand the reasons. Of course, if you assign the child an investigation such as a gastroscopy, the doctor considers all possible indications and contraindications in each case. Naturally, the health of the child patient after the procedure largely depends on how carefully and competently did all the doctor. For the doctor it is very important to find the right approach to the child and help him without problems to transfer this unpleasant examination. Indeed, sometimes it is from the results of EGD depends on the diagnosis and definition of further tactics of treatment. How long can the EGD procedure?